As soon as temperatures go above 25° C, my body just doesn’t seem to be working quite as usual and all I can think about is the closest water hole. Is it just me or is summer both the best thing but a burden at the same time? Anyways, with suitable preparations, everything is possible. You know I’ve been a fond fan of providing you with my latest beauty addictions, especially since I almost never go into the drug store anymore but buy almost everything from the pharmacy or based on natural ingredients. This had made such a huge different to my daily skin and body care. 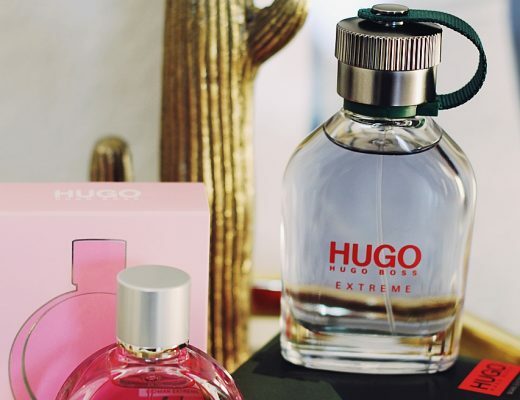 You can literally feel that you’re doing yourself something good, which also applies to my beauty favourites during the hot months. You can buy all the products in any pharmacy or online, for example Newpharma. 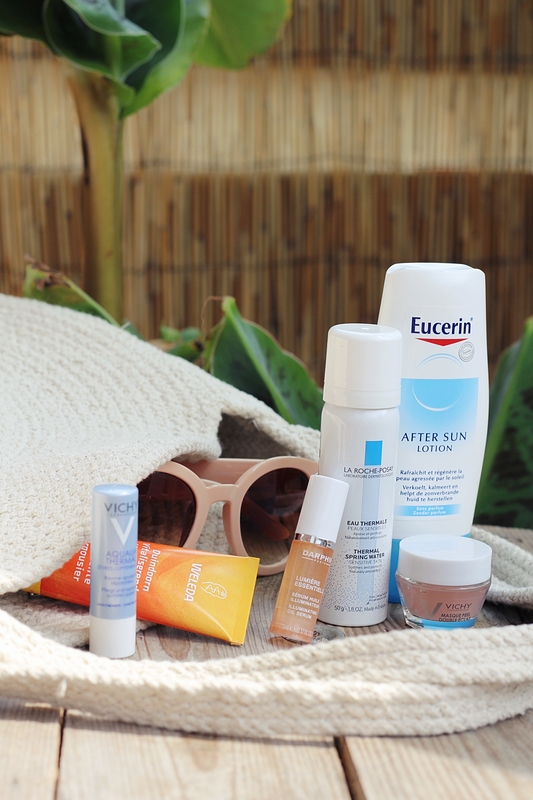 This After Sun Lotion from Eucerin is just perfect after extensive sunbathing. In the past few years, I kind of struggled with sensitive skin and “sun allergy”, which I never had before. This stuff helped me a lot to calm my skin after it was irritated by spending the whole day in the sunshine – so I can definitely recommend this product for everyone whose skin feels dry and itchy after tanning. Weleda is the absolute best when it comes to natural care for your body. Everyone should know Weleda as moms typically use it, at least my mom did a lot when I was younger and I remember her always buying their products. Now it’s me that is a total Weleda-fanatic. You’ll see what I mean as soon as you try their gear! 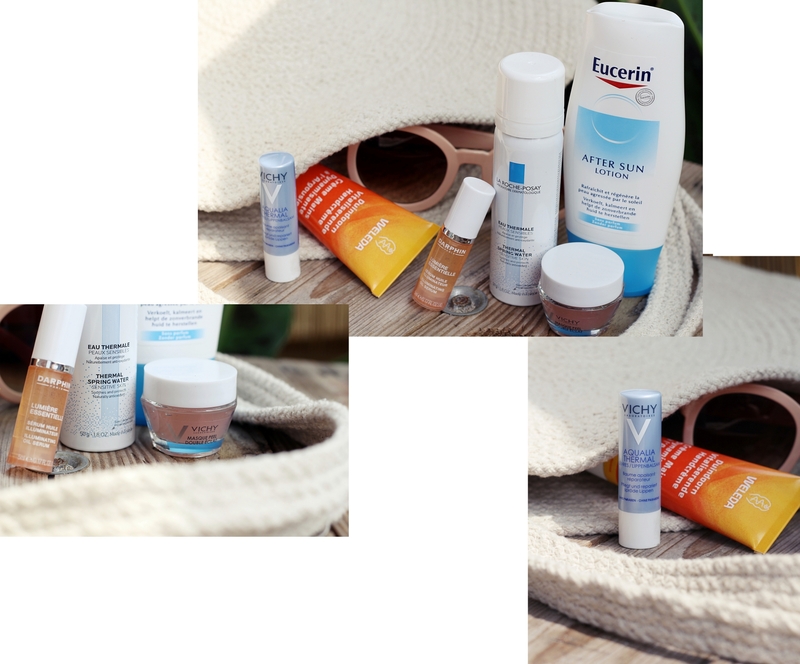 Vichy also belongs to the brands I’ve been trusting for such a long time, so I have tried lots and lots of their products during my long history of “help me safe my skin”-stories. These two belong to the ones I’ve bought again and again over the years. I don’t need to say much about the lipbalm, it soothes and moisturizes your lips. The peeling mask is made of volcanic rocks and AHA for a double-peel action that refines skin texture and reveals a fresh glow. My holy grail! 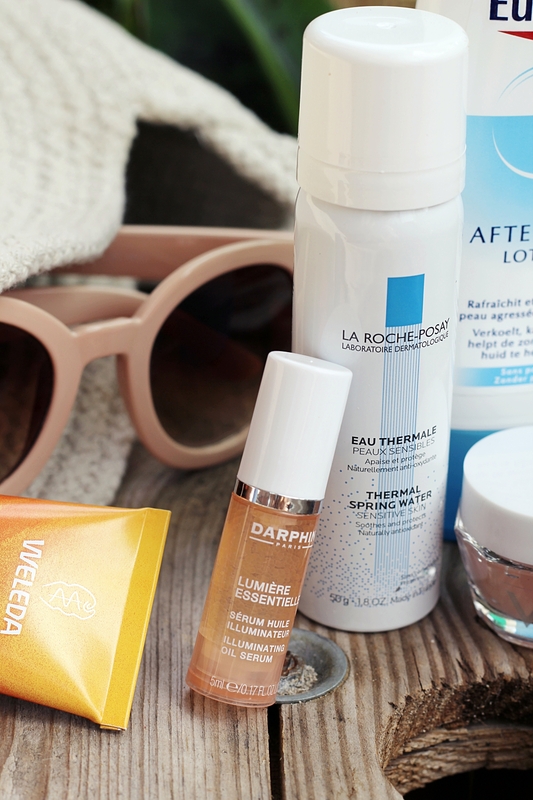 During summer, I love using serums as they don’t leave that sticky feeling on your skin like some creams do. This illuminating serum from Darphin enhances moisture in skin and includes essential oils of citrus, florals, cedarwood and ginger. Do I need to say more? Whoever doesn’t know this product, go buy it righaway. The thermal spring water spray (!) is the best way to cool down during really, really hot days. This was what saved us girl in high school. It’s basically “only” water but you would be surprised how precious this thing can be as soon as you start sweating.